China Food and Drug Administration (CFDA) recently proposed policies to streamline and accelerate drug and medical device approvals as part of its regulatory reform. Below are highlights of some noteworthy changes that impact new drug and device approval process (“Circular 52″), clinical trial regulation (“Circular 53″), lifecycle management and post-marketing surveillance (“Circular 54″), and regulatory data protection and patent linkage (“Circular 55”). In Circular 52, CFDA continues to expand the range of drugs and medical devices for expedited review. Under the proposed policy, drugs and devices that offer new solutions for treating life-threatening diseases or address critical unmet medical needs can be eligible for conditional approval, as long as early and mid-stage clinical trial data indicates efficacy and can predict clinical value. Once the CFDA grants conditional approval, the applicant must continue to develop a risk management plan and initiate a confirmatory post-approval clinical trial per the requirements. 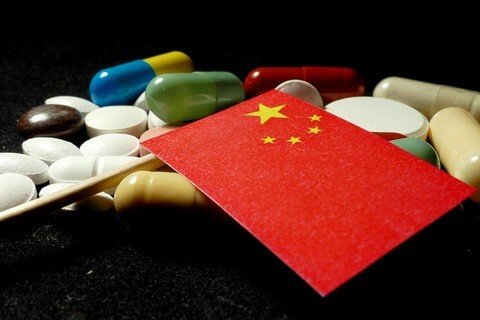 Drugs and devices that offer new solutions for treating rare diseases and are approved in other markets can now be eligible for conditional approval in China. The National Health and Family Planning Commission (NHFPC), China’s chief healthcare regulatory agency, plans on publishing the list of orphan diseases and establishing a patient registration system. Sponsors must meet requirements of CFDA’s technical review institutions: Center for Drug Evaluation (CDE) or Center for Medical Device Evaluation (CMDE) prior to submitting application for clinical trials. The pre-approval process is now very similar to that of the US FDA for Phase I and Phase III drug trials and Class III medical device clinical investigations. Sponsors will automatically be approved to conduct clinical trials or clinical investigations as long as CDE or CMDE does not identify any deficiencies in the application during the 60 day review period. CFDA is promising an increase in internal resources. CDE alone anticipates 400 new hires by the end of 2017. Majority of the staff at CDE will focus on drug evaluations. The medical device (except Class III for which CFDA requires pre-approved trials) is approved overseas. CFDA does not clarify whether on-site inspection results from foreign health authorities are acceptable. CFDA proposes to expand the Market Authorization Holder (MAH) system and combine it with the amendments to the Drug Administration Law (DAL) and implement it nationwide. Circular 54 proposes to enhance the infrastructure of technical review by establishing an electronic technical document system. CFDA aims to create a database of master files of each approved drug and device to increase the effort to meet international standards. CFDA anticipates that this enhanced documentation will make mutual recognition between other regulatory bodies more easy. Furthermore, CFDA will strengthen its data integrity assessment of regulatory dossiers and continue its on-site audits for clinical trials. CFDA emphasized there will be legal action taken against sponsors who forge clinical data, as it a criminal offense that can lead up to death penalty. Circular 55: Encouraging innovation through patent and data protection. CFDA has been working on creating a patent linkage system to improve protection of regulatory data. To this end, within 20 days of submitting a New Drug Application, the applicant must submit a statement of the patent or a notice to the relevant patent holders to ensure that the drugs do not infringe any existing patents. Patent holders will then have 20 days to file an infringement claim after receiving the notice. In such a case, the CDE will continue its review process but will not approve the drug for 24 months or until the patent case is resolved. Previous framework for data protection has been in existence since 2002 and has never been fully implemented in practice. The new proposed policy offers more detailed and structured protection for different drugs. CFDA will also grant data protection for drugs that received approval within a year from EMA, FDA and PMDA. If the market authorization application is submitted after the one year period, time exceeding the one-year period will be deducted from the data protection period. CFDA will be collecting comments for each circular until June 10, 2017. The four circulars introduce fundamental changes to the regulations and are expected to reshape CFDA’s regulatory framework. As second biggest pharmaceutical and medical device market in the world, the new changes would streamline and accelerate market access for companies who want to enter China.